It's WIMIM Wednesday again! 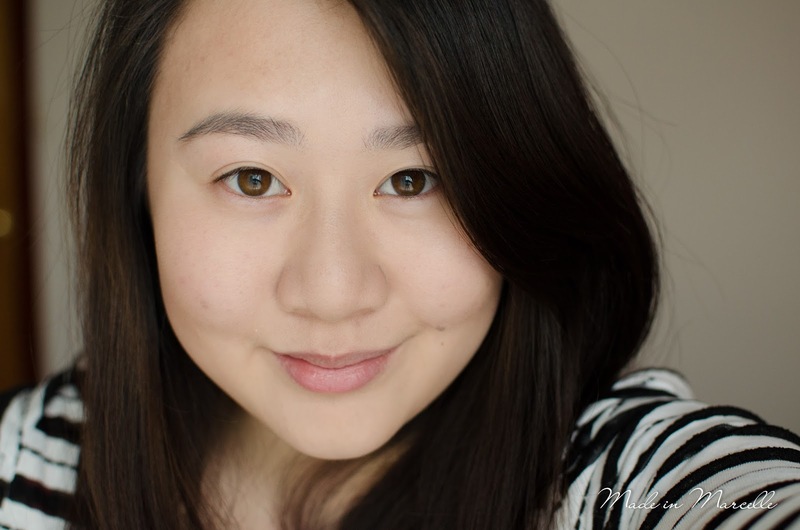 "What Inspires Made in Marcelle" happens in the first week of every month where we feature a theme for our posts. Kicking off June are some sweet posts about dessert. Our first ingredient in the mix is cocoa powder. It all started while I was trying to conjure up some form of edible baked good, and thinking to myself, hm, this could be delicious...as makeup. 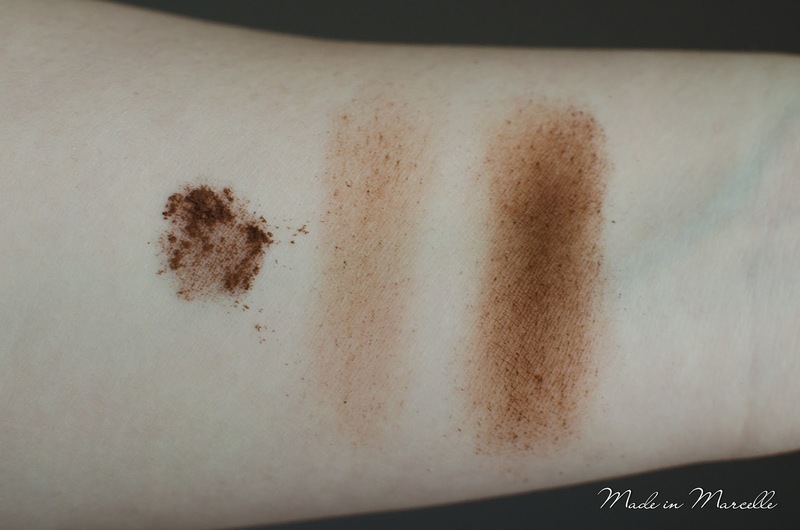 It made sense considering how many commercially available products use this concept, such as the Two Faced Chocolate Bar Eyeshadow Palette. But I was curious to use it in a more raw form. 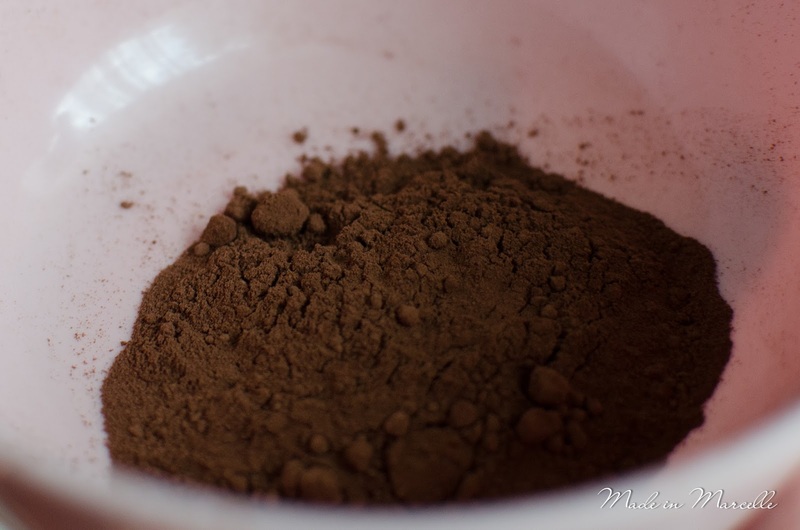 Can I use cocoa powder as a bronzer? Here's a quick swatch. (lol) The colour is not too shabby. 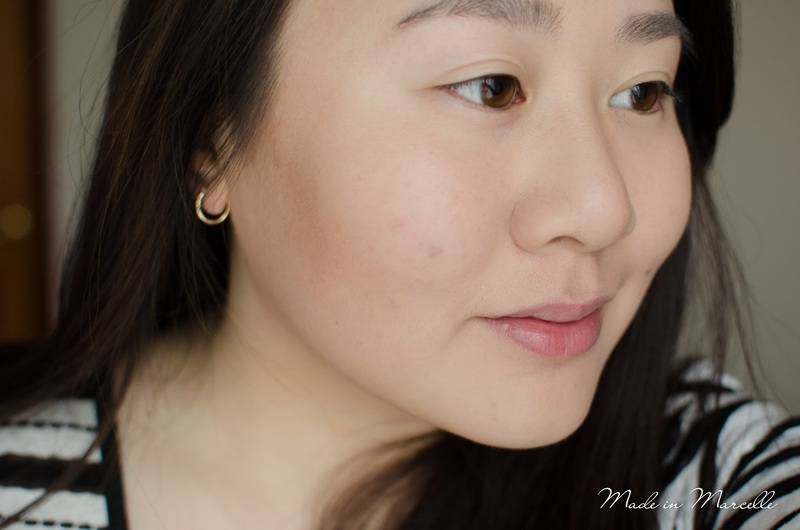 I prefer this more brown tone to the orange that many commercial bronzers come in. 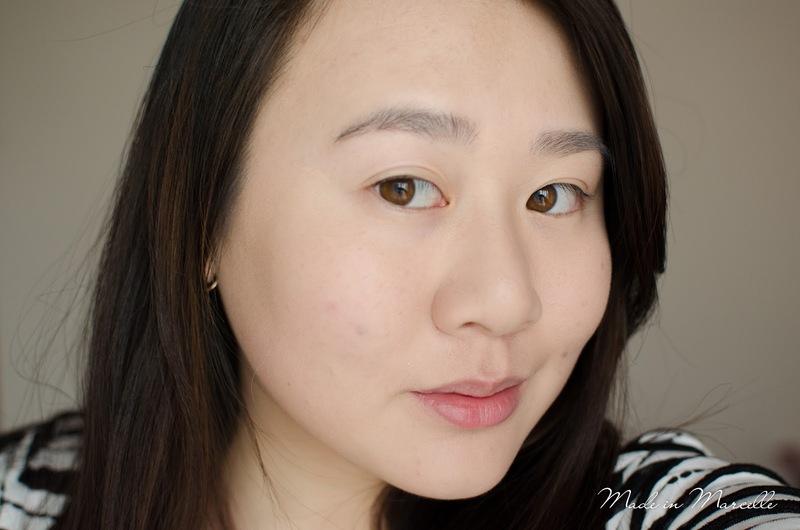 The cocoa does both sheer and buildable quite well on my skin. Although when you do a swipe like above, the powder separates and you can see the different sized particles in the mix. This makes it quite patchy but still acceptably blendable. Bam! Look at that pigmentation. I loaded my brush up very generously to get this kind of colour, and boy was it messy. There was powder flying everywhere and I was inhaling cocoa for a good 5 minutes. The scent was delicious though and it does linger for a while when you apply it. After a few minutes I couldn't smell it any longer and neither could anyone else. I also added a little around the edges of my face, including my temple. Surprisingly it looks quite natural on the skin, especially because I was expecting a more "dirty" finish. 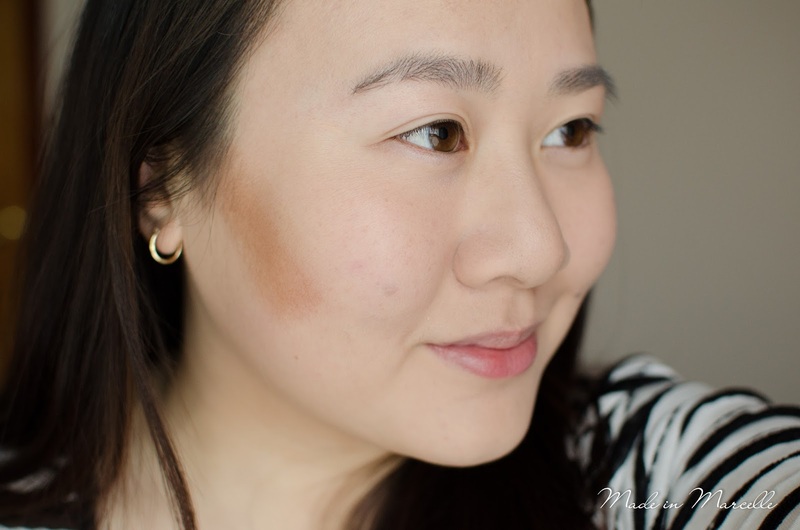 I wasn't game enough to try contouring other areas with this because it was not completely blendable. Conclusion? I think it is definitely plausible to use cocoa powder on the face but would not be something I would reach for on a regular basis. It requires a lot of effort to blend out nicely and even then, there is some blotchiness still present. I wore this for the whole day and I'm sure noone noticed that there was food disguised as makeup on my face. Well I buffed at it like crazy and it looks decent in real life. I didn't even think about animals licking it off my face, lucky I don't have any pets! Not too bad, I never thought of this! Because my room is up high, I don't get too many bugs thank goodness. I wonder if ants would go for unsweetened cocoa though? rồi không có ăn món này rồi. n mọi người. Suốt thời gian ông đọc, Hân không nhớ mình phải đưa tay lên che miệng ngáp bao nhiêu lần. Thật sự, nếu có người nhìn thấy, mặt mũi cô không biết phải để đâu.